PEC emergency and transitional housing offers families and youth a safe, secure place to live while searching for permanent or permanent supportive housing. All households receive assessments, case management, and access to on-site counseling, employment services and other programs. PEC manages its own permanent housing, including both affordable and supportive housing rentals. We are also dedicated to building mixed income rentals and homeownership projects as part of our neighborhood’s strategic plan. 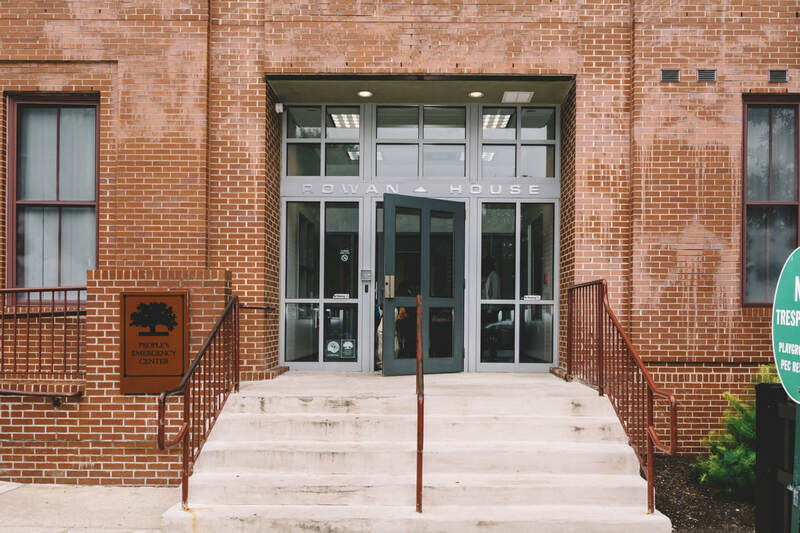 The families and youth living in our emergency and transitional housing receive food, clothing, linens, healthcare, school supplies, basic necessities, and books. Play spaces in all of our facilities create a welcoming environment where children can learn and thrive. All of our buildings have a secured entrance and maintenance support. Partnering agencies provide on-site medical services. PEC’s counselor analyses intake assessments and makes recommendations to families and case managers on a plan to develop independence and stability as families take the next step in securing permanent housing. PEC offers several voluntary programs for women and youth with children experiencing homelessness including parenting education, computer skills, employment training, conflict resolution, counseling and lifeskills programs. Youth access education supports and advocates in addition to the general menu of programs. ​At intake, family members are assessed for developmental delays, trauma history and, other underlying problems that may have led to their homelessness. Our emergency housing offers six dormitory rooms with common bathrooms, a cafeteria, visitor’s lounge, library, and computer lab. ​There are 11 single family units in our main facility with private bathrooms, sharing meals in the on-site cafeteria. These units provide privacy while still having ready access to case management and program staff that young people require. This program is designed to help youth with families for independent living in an apartment in the community. An additional 24 single family units at another location include a kitchenette and bathroom in each. Families in these units also have access to certified case managers and programs tailored to address their issues. Residents in PEC's permanent supportive housing maintain connections to case management, programming and resources, including guidance in running a household and being a good neighbor, assistance with finding, keeping, and advancing in a job, and follow-up services for health care, mental healthcare, childcare, and drug and alcohol problems. Families who are unable to secure PEC permanent rental units are assisted with a search for and applications to the Philadelphia Housing Authority or market rate apartments in the community. CPECE collaborates with Youth Services Incorporated (YSI) to provide weekly psycho-educational parenting workshops to our mothers. The collaboration with YSI enables PEC to continue to provide responsive and high-quality parenting education to our women experiencing homelessness. It also offers the opportunity for our women to build the foundation for healthy parent/child relationships that will allow for effective parenting, despite the traumas and stress associated with experiencing homelessness. YSI utilizes the Nurturing Parenting Program, an evidenced-based parenting curriculum that is competency-based and designed to assist parents with acquiring knowledge that will assist them with making good decisions, understanding growth and development in their children, how to develop empathy, manage and communicate feelings, manage anger and stress, rewards and punishments, understand discipline and learn alternatives to spanking and, establishing nurturing parenting routines.